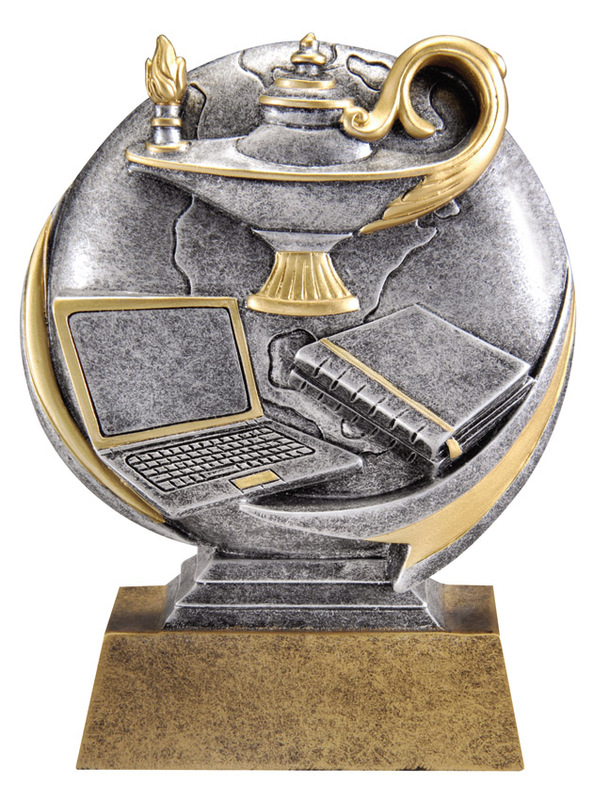 3D lamp of knowledge on gold base. 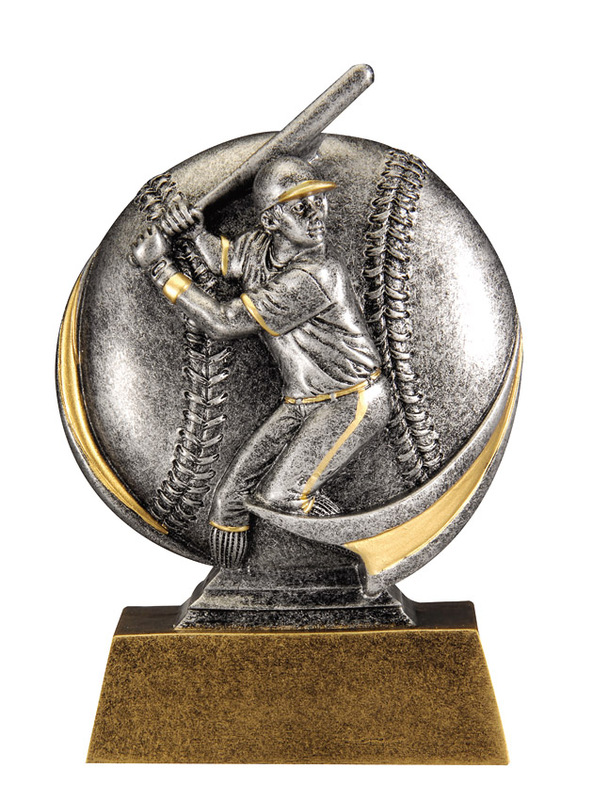 3D baseball on gold base. 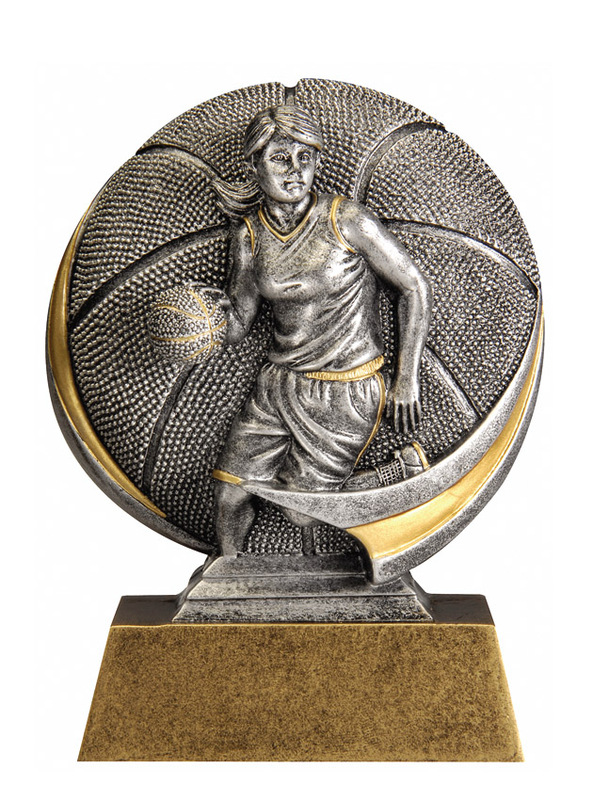 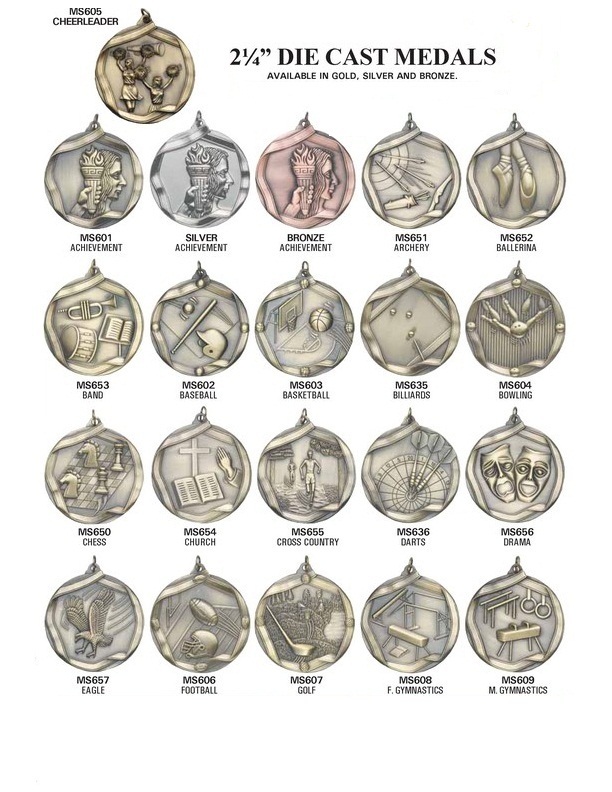 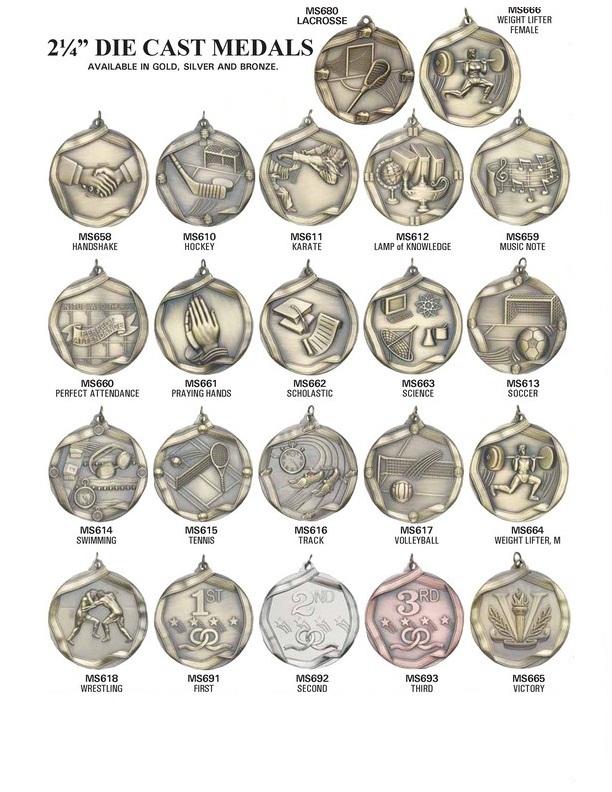 3D basketball female on gold base. 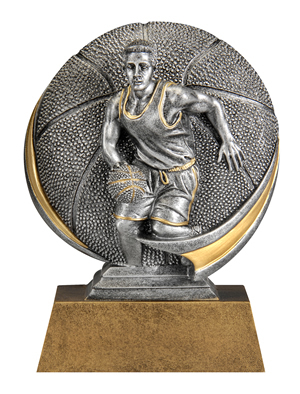 3D basketball male on gold base. 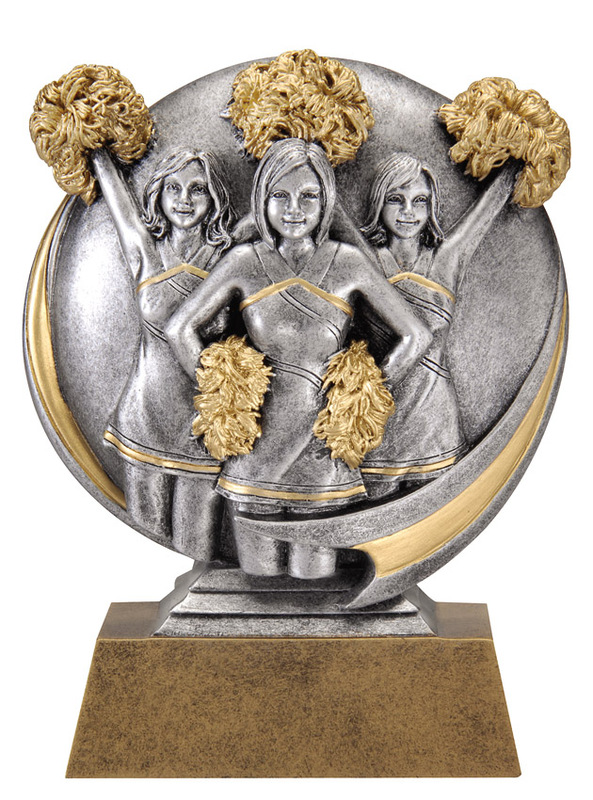 3D cheerleaders in gold base.